After using an iPad for a while, do you find yourself tapping on the physical whiteboard to move text from where you wrote it to another place? It isn’t like you can move handwriting around the screen on the iPad like you can with typed text documents. Well, actually you can move drawings and handwritten text around your work area if your using the free universal app Inkflow. To understand the full capabilities, we have put together an example page below to talk through. Across the top of the page is the only tools/navigation needed in Inkflow. 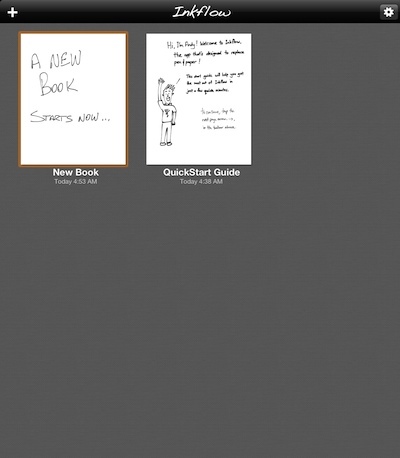 Gallery is the overview of created books, next is the share button and the undo/redo buttons. The arrows on either side of the ‘Page 2 of 2’ will let you navigate through the book, the right arrow has a ‘+’ to add another page. To the far right is the lasso and drawing tool. 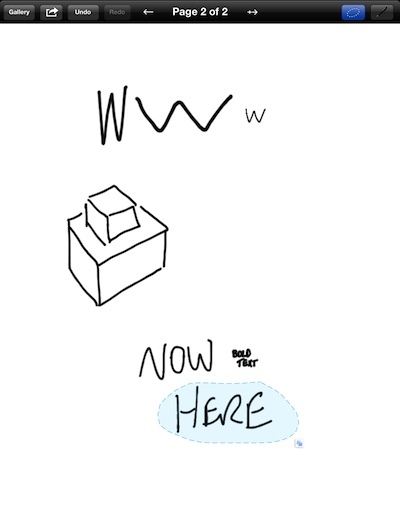 On the actual work area, the three ‘w’ across the top where drawn the same, using the adjustment lasso, we moved the edge tall, wide and smaller to show how you can actual alter the shape of text and drawings too. That lasso tool can be seen in use at the bottom of the screen where we circled the word ‘Here’. Text can be moved to another location, resized, or tap to delete. You can use the lasso to grab any part of anything on the screen, just draw it around the little box of the two boxes on the right of the screen to move it only. Lines can be split if you use the lasso through rather than around a line. The bold text in Inkflow is accomplished by zooming in with two finger pinch/expand, writing, then zooming out. The list of sharing your text/drawing creations is an interesting mix. 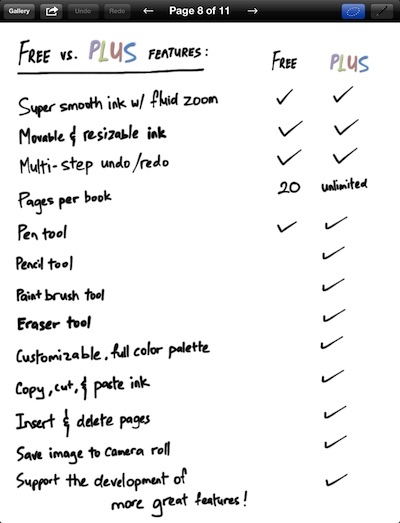 Note the last ‘Upgrade to Inkflow Plus! option, this is covered at the end of this post. Books of text writing and drawings can be added through an overview screen. 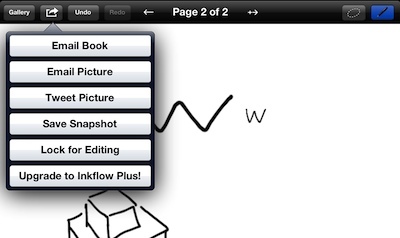 The last opened Inkflow book is shown as the first in the list. We didn’t miss mentioning features of Inkflow in the above comments. That is what you get with the free version of the Universal app. If you want more capabilities like unlimited number of pages in a ‘book’, ink colors, an eraser, copy/paste, insert/delete pages and saving a page to the iPad photo library… you have to buy the ‘Plus’ package through an in-app purchase. That bundle of features is $4.99, the developers state that price is a discount right now down from their normal $7.99.